Can I Put Teddies in My Baby’s Cot? You’re bound to get gifted plenty of cuddly toys and cutesy blankets when baby comes along, but keep these mementos in a safe space—in other words, out of your little one’s cot. Adding anything into your baby’s sleeping space part from a firm mattress and securely fitted sheet increases the risk of smothering and suffocation. 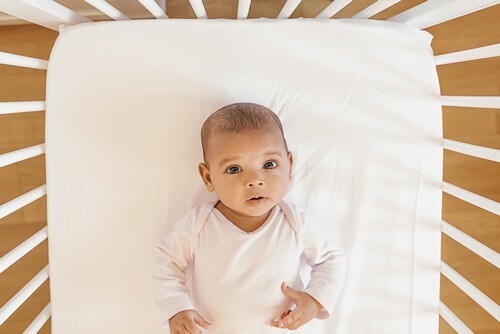 The same even goes for cot bumpers—especially when baby begins to move and roll; he can get tangled in the material, or slip and fall into a dangerous position if holding onto the bumpers. any products (such as wedges or straps) that will keep your baby in one sleeping position. Why Is My Baby Crying? Check Out This Infant Language HackWhat Flooring is Best for Babies?